Sometimes I feel like being a cyclist in London comes with having your bike stolen. Hopefully after the first time you don’t let it happen again. That’s my plan. After my bike was stolen in September 2014 I resorted to only taking my bike to places that would allow me to take it in with me. Carrying my D lock was cumbersome and I remember when I borrowed a friends very heavy chain lock it basically wore a hole in my leggings! Then I discovered Hiplok. I paid them a visit at their Spin LDN stand a couple weeks ago to say hi and check out their product line. 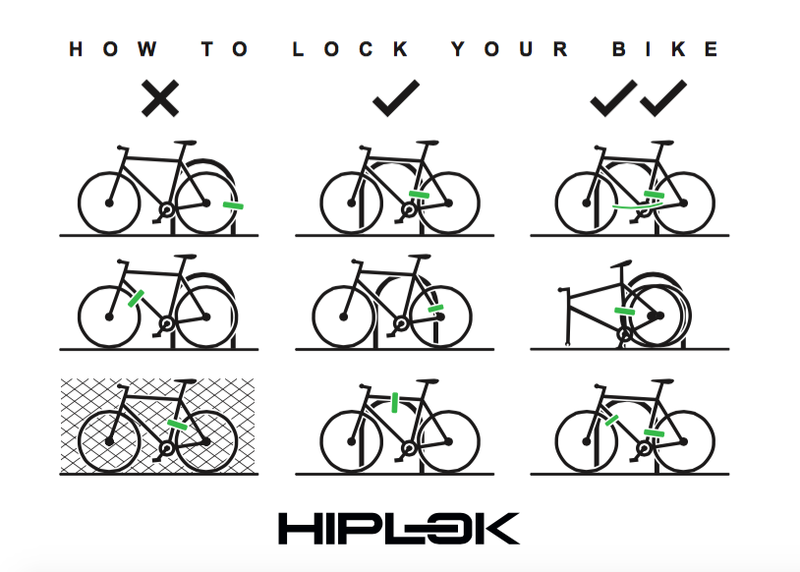 I picked up one of their postcards which contained the awesome graphics above showing you ways to secure your bike and how NOT to. It’s an easy mistake to make when you’re in a rush and the consequences are harsh. I’ve been using their new (Sold Secure) GOLD which launched this March, 2015. So far since moving back to Essex, I’ve been using my bike for trips to the Post Office – it’s about 2km each way and just much quicker on a bike. The Hiplok has been handy to (not) carry by wearing it around my waist. When it’s on, you barely notice that it’s there …and at 2.4kg that’s not bad! For those that love to know all the technical specifications it’s a 10mm hardened steel chain with a removable 600d outer sleeve which has a reflective chevron detail. 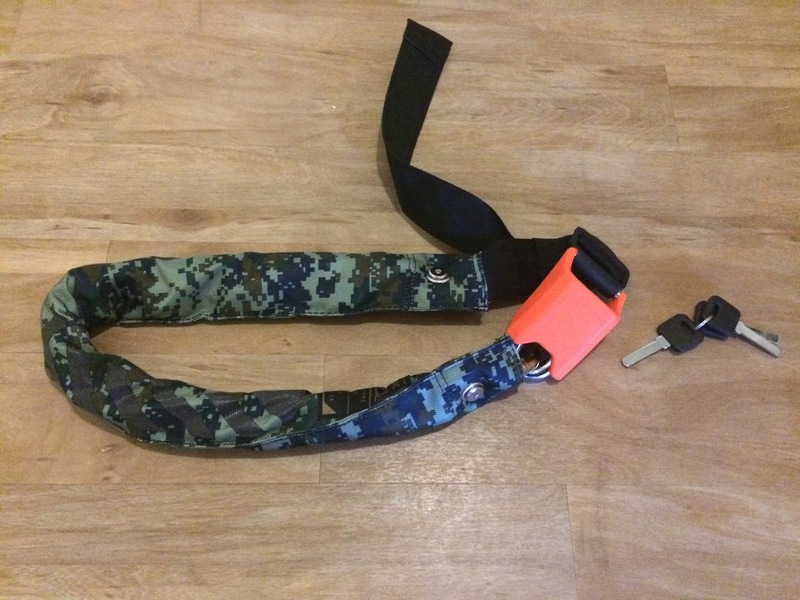 The fastening (buckle) is a 12mm hardened steel shackle and steel lock body with a brass mechanism all in an impact resistant, super tough nylon case. Your lock comes with 3 keys included which are key coded and replaceable. It was a perfect fit for me; my waist I think is about 26 -28 inches depending which part you measure! 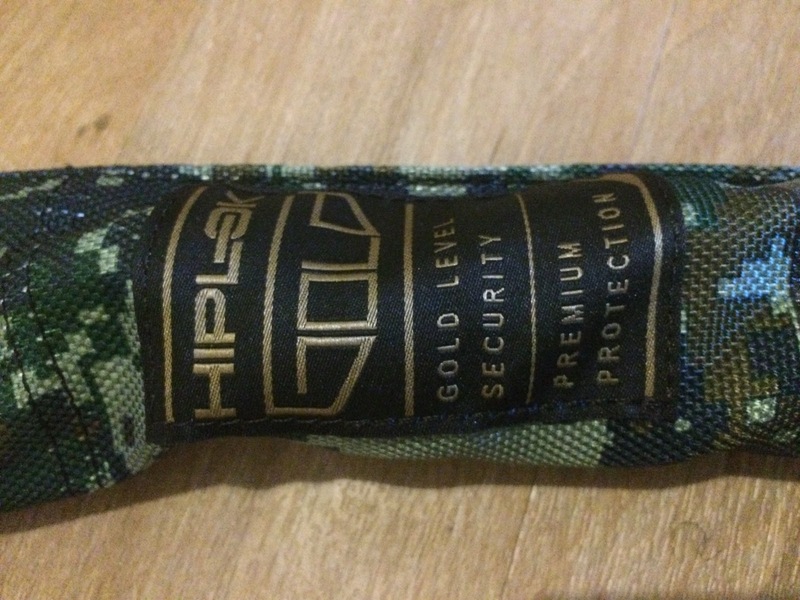 The Hiplok GOLD fits a minimum waist of 24″ and maximum of 44″ making it pretty versatile. The size of it is perfect for locking my frame and back wheel together to the bike stand / post / something* (*delete as appropriate). I’m not one for taking off my front wheel though so I would defo invest in one of their smaller D locks to lock the front wheel to the frame (more on that soon hopefully). 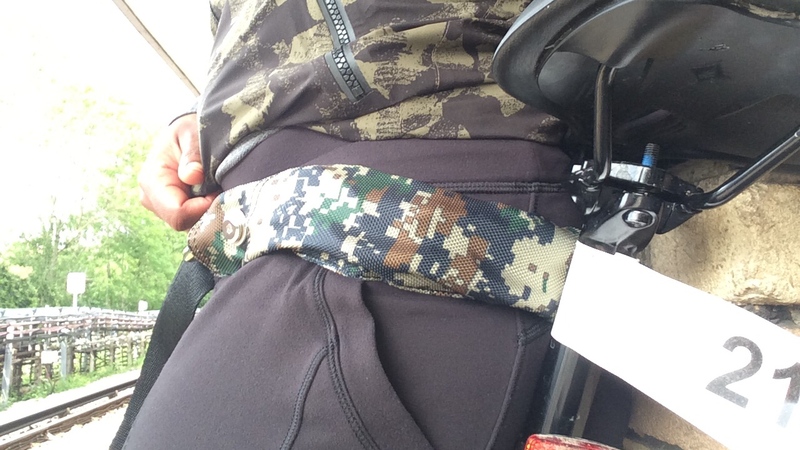 I had my triathlon this weekend too and travelled over by train to the race so being able to wear my Hiplok (see images above) meant more space in my bag for kit and also meant I could stop for food after without having to worry about being able to keep my bike with me indoors! Have YOU had a bike stolen? Any insider tips on locking your bike up?